Glass polishing can be a tricky task. It is one of those small essential chores that never seem to work out as you had hoped. Every small smudge or streak you leave behind, is certainly going to get noticed, and given windows are some of the most appealing features of many households, this is the last thing you want after cleaning your glass sheets. 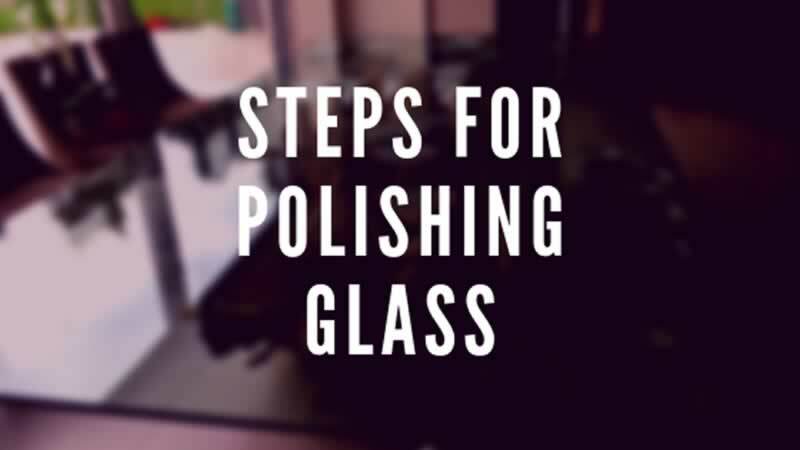 Before you throw in the cloth, rag or towel, you may want to look at these essential glass polishing steps and tips, for an ideal sparkling finish. White vinegar– vinegar contains about 3 to 9 percent acetic acid, and thus making it acidic and abrasive enough to breakdown residue and grime without damaging the glass/window when diluted. This stage prepares the glass surface for polishing. You should squeegee down the glass vertically starting from the top and the soak up the run-off with an old towel. This solution will be potent enough to break down the spots and residue on the glass surface without damaging it. This is the secret weapon and the best thing is that you do not have to worry about your kids or pets coming into contact with the glass after finishing the job. Apply The Solution Directly to The Surface if The Glass is Really Dirty. If Not, Apply a Small Amount to a Microfiber Cloth. If you have old window frames, particularly wood, make sure you use an old cloth or towel to absorb the excess cleaning mixture, instead of allowing it to soak into the window frame and sill. Polish the glass up and down, around and around as well as side to side. This gets rid of any excess moisture and provides a final, glistening, spot-free finish. For a flawless result, you should use cotton buds to detail clean the corners of the window surface. Glass, regardless of the type, is prone to scratches and regular polishing won’t get rid of them. However, you can purchase a glass-polishing kit which can help make even deeper grooves less visible. You should apply the solution in the kit as per the instructions and it will relax the glass so that when you buff it, the scratches will be less visible. Next, you should clean the glass with soap and water mixture and then rub the surface down with a squeegee. Finally, polish the surface again with an old towel and apply a final polish using old newspapers. How much is it to rent skid steers for your job?